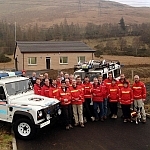 Arrochar Mountain Rescue Team (AMRT) has 30 volunteer team members who are available 365 days of the year when requested by Police Scotland. AMRT comprises of men & woman from a variety of backgrounds and employment but we all pride ourselves with the team's professionalism and a thread is shared between all... the simple desire to assist with someone in distress on the hill. 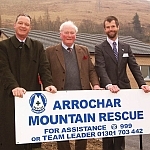 It was in the mid 1950's when local farmer Johnny Paterson, assisted by his brother Charlie, was asked to put together a group to deal with mountain rescues in the Arrochar area. Prior to this, as in the rest of Scotland, rescue had been on an ad-hoc basis with the local farmers and shepherds responding as required, but it was felt that with the increase in use of the hills a more formal arrangement was required. As a Special Constable Johnny was approached by the then Argyllshire Constabulary based in Dunoon to form a team with the rescue post being based in Succoth which was the family farm as well as the site for the local "howf" used by visiting climbers. Throughout the 60's and 70's rescues in the Arrochar area, lead by Johnny and the team, numbered about 3 a year on average but 6 were recorded in 1978. Following Local Government reorganisation in 1973, Argyll became part of Strathclyde region and the Strathclyde Police area of 'L' Division encompassed the area from Dumbarton to Bridge of Orchy and all the way down to Campbeltown. In 1978 a formal constitution was drawn up and the team affiliated to the Mountain Rescue Committee of Scotland. It was at this time that agreement was reached with Strathclyde Police that the Arrochar team area would be Beinn Vorlich in the north, south down to Garelochhead and over as far as the Ardgoil peninsula, the team was then called to Ben Cruachan in 1979 and has in some shape or form been active throughout Argyll ever since. It was in 1979 that the association with the Order of St. John started through the Dumbarton branch donating to the team funds and the North British Hotels Trust purchasing a long rope for stretcher lowers. When Johnny stepped down from the Team Leaders position in 1982, Derek Prescott took up the 'poisoned chalice' for a short period of 18 months or so until Bob Smith was elected in 1983. It seems that one of Bob's first moves, as Team Leader, was to purchase 6 hand lamps for night searches at a cost of £42. These were obviously a good buy as a further 5 were bought in 1985 and they all lasted until they were eventually replaced in 1999. The Rescue Post was moved to the Arrochar Outdoor Centre in about 1984. Administration was also coming to the fore at this time with the team being granted charitable status in 1990 and adopting the national operating guidelines from the Mountain Rescue Committee of Scotland in 1993. The first dedicated team Land Rover was part funded by the North British Hotels Trust in 1994 adding to the existing trailer that had been built with the help of local traders in 1989. A garage was also loaned from the Hydro Board for its storage. The increase in expenditure along with the increasing need to regularly replace equipment lead to the idea of running navigation sessions to the public at large to both generate income and hopefully reduce the rescue workload. The fund raising at least proved a runaway success with two large courses being run the first year and an expansion into winter skills taking place the year after. It may also have had some effect on the rescue statistics, as there were only 6 callouts that year. An association with the Lowe Alpine Mountain Marathon (LAMM), started in 1994 in Ardgarten, continued with the team subsequently covering events on Mull, Jura, Ardgour, Glen Sheil, Bridge of Orchy, Rannoch Moor, Spittal of Glen Shee, Braes of Balquidder, Assynt, Glen Lochay, Glenfinnan, Kintail, Glen Fyne, Beinn Dearg and Ben Cruachan. In 1996 after 13 years as team leader Bob Smith (subsequently to be awarded an MBE for his services to MR) resigned to pursue his retirement and Mark Leyland was elected Team Leader. 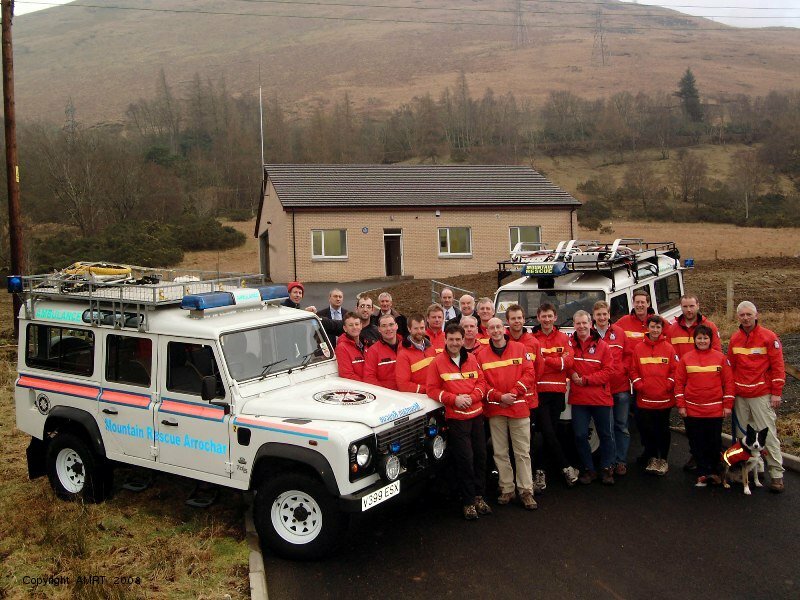 In 1999 a second team vehicle, an additional Land Rover, was donated to the team by the Order of St. John. The work of the team continued to grow and in 1999 there was a record 16 call outs all activated through the new personal paging system operated by Strathclyde Fire Brigade. In year 2000 there were 19. According to records, the team has had in excess of 80 members over the years. Currently there are 30 members on the call out list including 2 dog handlers (SARDA members) and 2 doctors. The team has a committee made up of full team members. Regular OGM's are held where relevant and not so relevant issues are discussed at great length. Decisions are made by a simple vote. The AGM is where the team officers, i.e. Team Leader, Depute Leaders, Secretary, Chairman, Training officer and Treasurer are elected or re- elected. 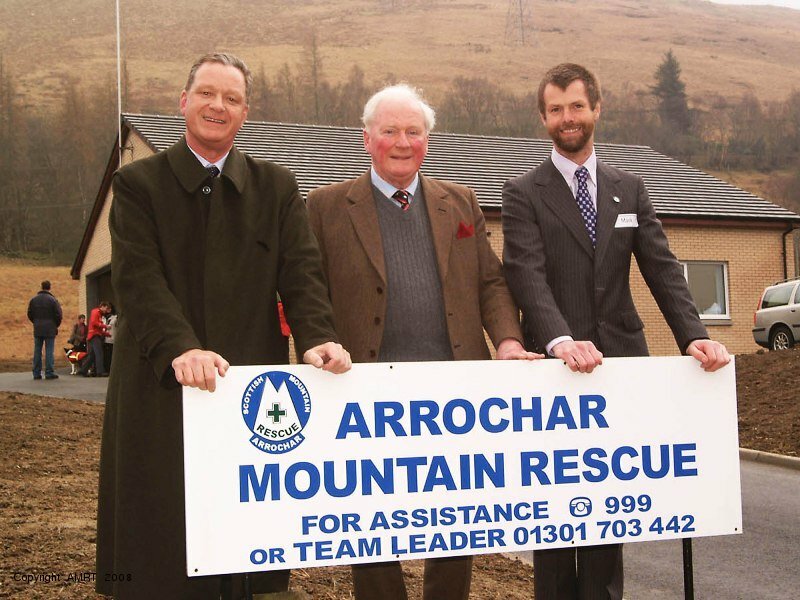 After more than 50 years of existence the Arrochar Mountain Rescue Team continues to evolve and grow as a professional team of volunteers. What will the future hold?